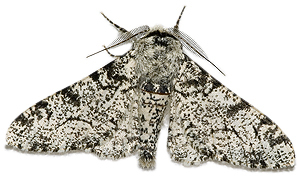 To Dr Carl—I read your stuff a while back where you claimed that the peppered moth stuff was based on fraud. I was disturbed when someone showed me a recent science article that unfortunately for you undermines this claim. It shows that the moths are a classic example of evolution after all. I hope you will retract your claims now in the light of this new evidence. Thanks for your email. By our ‘stuff’ on the peppered moths, I presume you are referring to one section of our tract, ‘Frauds used to support evolution’, or most likely to my 1999 article in Creation magazine on which it was based, Goodbye Peppered Moths. And/or to the follow-up Creation article in 2002, The Moth Files. And I presume that the recent evolutionist article you refer to would almost certainly be ‘The Moths at War’ in New Scientist.1 Your comment comes at a convenient time, as I had already started writing about this rather bald-faced attempt to falsely smear creationists. Rebutting it will be helpful to others, too, so please excuse if I am overly detailed in my reply. If one reads both our items and the New Scientist article carefully, it becomes clear that far from our comments having to be retracted, this latest story seems to be a classic case of misleading ‘evolution-spin’, trying to convert a public embarrassment into a PR victory against creationists. That biologists have noted that it is extremely hard to find moths resting on tree trunks during the day—their favoured place appears to be in hiding under leaves. That Kettlewell released lab moths onto tree trunks that were in a state such that they may not have naturally rested on the tree trunks. Classic ‘textbook’ photos of the moths resting on tree trunks were faked, as dead moths were pinned or glued to the tree trunks. The ‘teaching’ film of the moths being eaten by birds was also ‘staged’ and not a true natural situation. That evolutionists were misrepresenting natural selection as ‘evolution in action’ was a secondary point; the main one was that there was so much seeming desperation to convince students of evolution that its proponents were willing to overlook these serious flaws, and even use fake photographs to buttress the point. That creationists have exploited ‘legitimate scientific debate over the fine details’ concerning these moths to unfairly attack the whole example, and with it, evolution itself. That when Chicago evolutionist Jerry Coyne said, ‘For the time being we must discard Biston as a well-understood example of natural selection in action’, he was taken out of context, selectively quoted, was unfortunately ‘unclear’, etc. Importantly, the article does not even attempt to refute what we reported about the fakery involved in pinning dead moths to tree trunks. Importantly, the article does not even attempt to refute what we reported about the fakery involved in pinning dead moths to tree trunks. And the article itself concedes that Kettlewell’s procedures were substantially flawed. Instead, it pushes the ‘strawman’ premise (so far as CMI’s articles are concerned, anyway) that the creationist articles were attacking natural selection as such, or at any rate were gloating that natural selection had been seen to fail precisely in the situation where it was touted the most.5 But, as shown, our items made it clear that the validity of natural selection as such was never in doubt and not the issue at all. What about Majerus’s ‘exhaustive experiment’ that has allegedly triumphantly restored the moth’s trophy status for Darwinists? 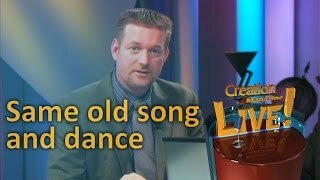 Well, let me say once again that if it had been convincing, one would have said, ‘Big deal—what’s surprising about that?’ But ironically, what we see once more is the desperation of Darwinists in the propaganda war, as well as a total misunderstanding/misrepresentation of the creationist position on natural selection. Majerus spent seven years releasing moths (overcoming the procedural flaws in Kettlewell’s experiments) such that some came to rest on light-coloured trunks, and he watched birds eat some of them. His earth-shaking results? This accounts for the fact that the ones he released that went missing (thus presumably eaten) were 29% of the dark ones compared to 22% of the light ones. As if that were not trivial enough, even this article attempting to present the experiment as a ‘coup de grace’ for evolution makes it plain that it ‘doesn’t satisfy all evolutionary biologists’. Some of these evolutionist critics point out that other animals also eat moths in nature, and may have different preferences for light and dark moths. And, most significantly of all, the article points out that the frequencies of light and dark moths ‘do not always correlate with the level of pollution’ anyway. But one can overlook all the frantic arm-waving and trumpet-blowing over whether the article demonstrates natural selection, (which is a process we don’t think needs to be demonstrated anyway—it is a self-evident logical deduction, as well as having been amply observed elsewhere). 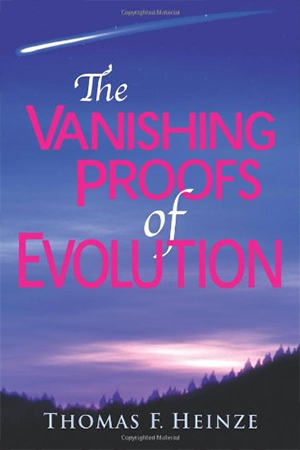 What is truly disturbing is the way in which the leap is made from an observed change of gene frequencies (which is what industrial melanism, if adequately demonstrated, would be) to, in Majerus’s quoted words, ‘the proof of evolution’. The word ‘evolution’, of course, means in most people’s minds the whole notion that particles have turned into people. For me to be a good driver requires that I have good eyesight. I can demonstrate that I have good eyesight. Therefore I am a good driver. That should be amply clear from such articles on this site as Muddy Waters, The Evolution Train’s A-comin , and Beetle Bloopers. A biblical creation model would also predict changing gene frequencies with time, but within the limits of the original kind plus the addition of (mostly information-losing) mutations. Even as renowned an evolutionist as Pièrre-Paul Grassé, holder of the Chair of Evolution at the Sorbonne, made it clear that one can have mutations and selection in bacteria, for example, changing gene frequencies, but that this is a shift to the left, a shift to the right, with no net long-term result. Equally, the moths have shifted with pollution towards darker forms, then as the air has cleared up over the decades, the moth population has generally headed back again towards the situation where the lighter forms predominate once more. Where, then, is the net evolutionary change, the generation of novelty that is required by the theory? Towards the end of the article, Majerus is cited as making a revealing statement. He says that the birds-eating-moths story is ‘easy to understand because it involves things we are familiar with’. Exactly. It makes it easy to indoctrinate students with an example that makes sense, and then have them thinking that they have seen a process that somehow creates new things in biology. It is all part of the passion for the moth story, a story that evolutionists bolstered with not only inadequate procedures, but faked photographs. (And this passion has ensured that some major noses got out of joint when creationists made legitimate use of the revelations. )6 This is the reason why, to ensure it was understood and ingrained in students, some evolutionists faked/staged photographs in the first place. And it is clearly the reason for this article, to try to rehabilitate at all costs the idea (which may be true, it’s just that there is so little evidence for it) that the birds are definitely responsible for the changes in frequencies. Which makes it all the more ironic that the same article cites other evolutionists as saying that the jury is still out, even on that aspect of it. ‘Three statements sum up the biological reality about this issue. Before the industrial revolution, there was genetic information for dark and light moths. During the worst days of pollution, there was genetic information for dark and light moths. 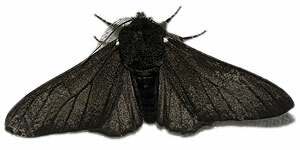 Today, there is genetic information for dark and light moths. Thank you once again—I have truly appreciated the opportunity to draw attention to this astonishing New Scientist article. If anything, the ‘beatups’ and ‘spin’ it so obviously utilizes strengthen the point about how desperate evolutionists are not to have this particular ‘icon’ exposed for what it is—at best, an extremely trivial example of natural selection (not ‘the proof of evolution’). Encyclopedic ‘truth’ … or worldly wisdom? Jaap de Roode, The Moths at War, New Scientist 2633:46–49, 8 December 2007. Return to Text. By causing loss of the light-coloured lichen as well as blackening them directly. Return to Text. As with humans, the pigment melanin causes the darker colour. Return to Text. That may be a bit strong. As our article stated, Hooper noted that Kettlewell’s field notes had conveniently disappeared, and said that ‘the unspoken possibility of fraud hangs in the air.’ Return to Text. Of course, some creationists may be confused as well, thinking that a) natural selection = evolution and b) the moth fraud meant that natural selection was discredited. Return to Text. Evolutionary biologist Bruce Grant, writing a letter to the editor of the Pratt Tribune (Kansas) in response to some creationist correspondence, tried hand waving to divert attention from the fact that schoolchildren were given the impression that moths naturally rest on tree trunks by saying that ‘the moths were glued to trees in an experiment to assess the effect of the density (numbers) of moths on the foraging practices of birds.’ See http://www.millerandlevine.com/km/evol/Moths/grant-pratt-tribune.html Return to Text. J.A. Coyne, Nature 396(6706):35–36, 1998. Return to Text.